We love getting creative with simple materials. It is even better if we can make something sweet and sentimental, like a handmade gift for someone. So in this post, I will show you just how to do all that and make a beautiful craft for Grandma! 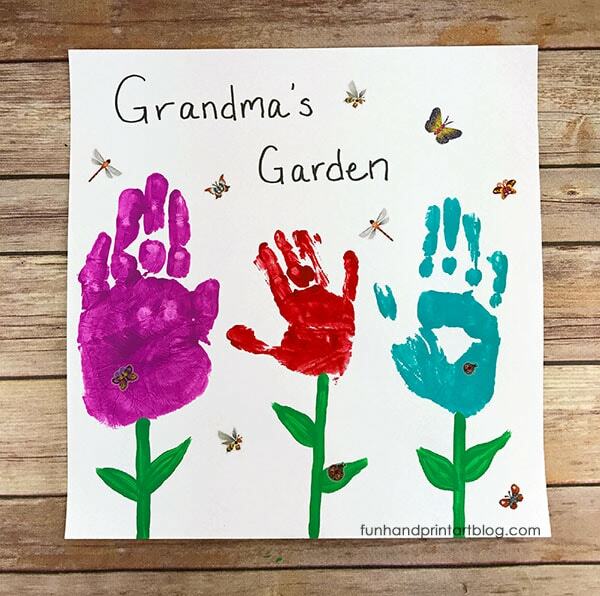 Join us below to see how easy it is to create this pretty Grandma’s Garden handprint keepsake. You can make this for Grandparents’ Day or for anytime you want Grandma to know just how awesome and special she is! 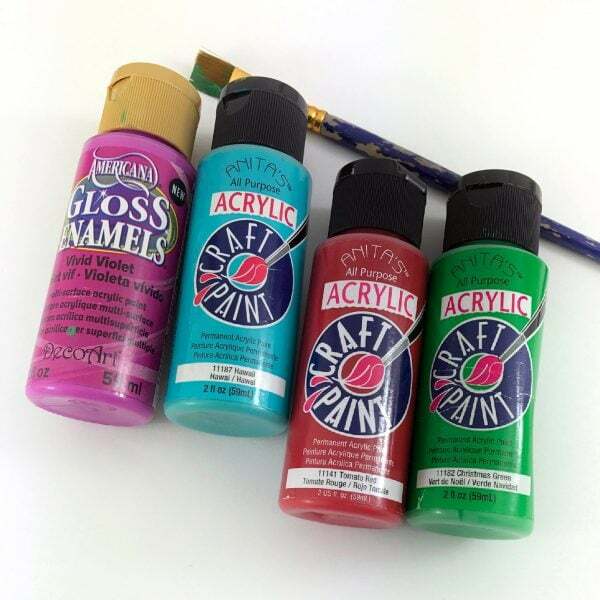 Take a look at how easy this craft it is to make with a minimum amount of materials. *This post contains an affiliate link. For more on this, please read our full disclosure here. 1. Put a little bit of paint on the paper plates. 2. Have your child choose what color their flower will be. 3. 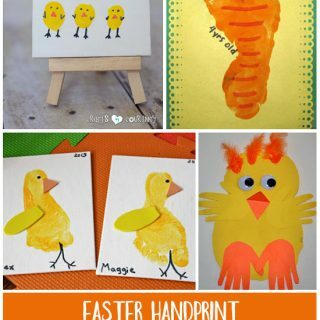 Spread paint over your child’s hand with the paintbrush. 4. 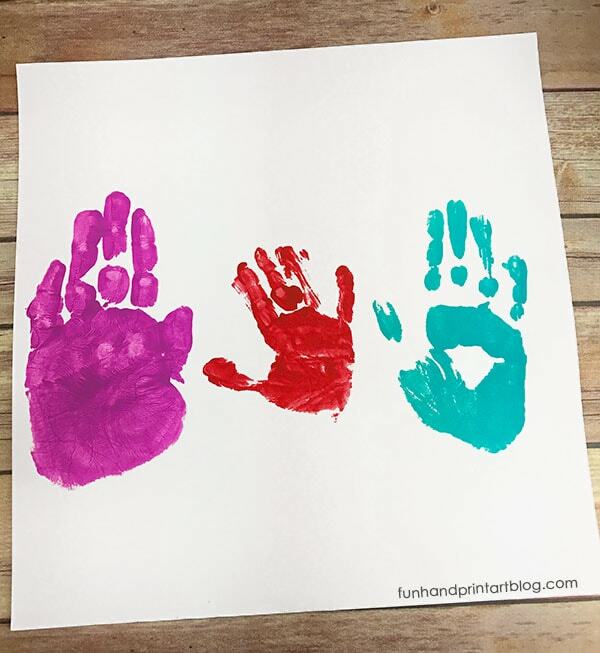 Make a handprint with fingers closed around the middle of the page. 5. Then paint stems under each flower. 6. Write “Grandma’s Garden” on the page. 7. Add flower, heart, ladybug or any kinds of stickers. 8. Let it dry completely before moving. 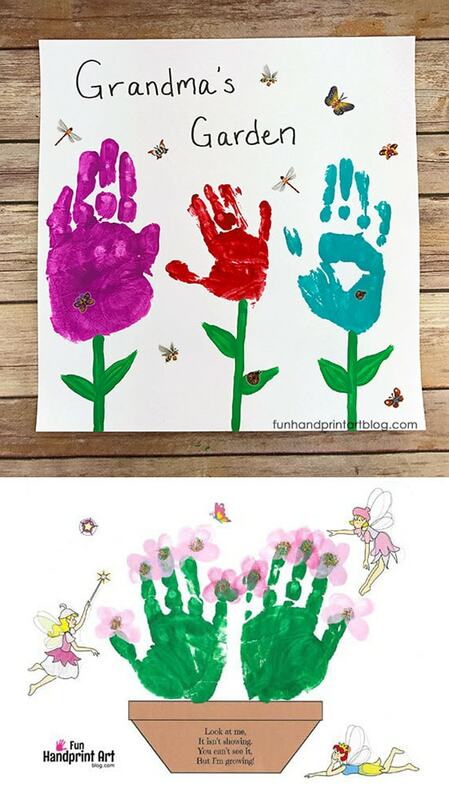 Get the Handprint Flowerpot Printable Here. 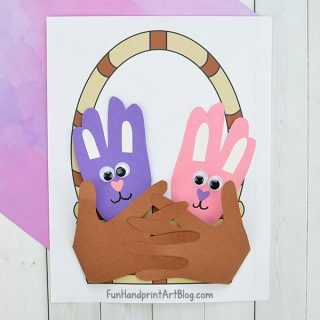 It is such a simple and such a cute craft for Grandma! We hope you make some and enjoy the process as much as we did. Enjoy!